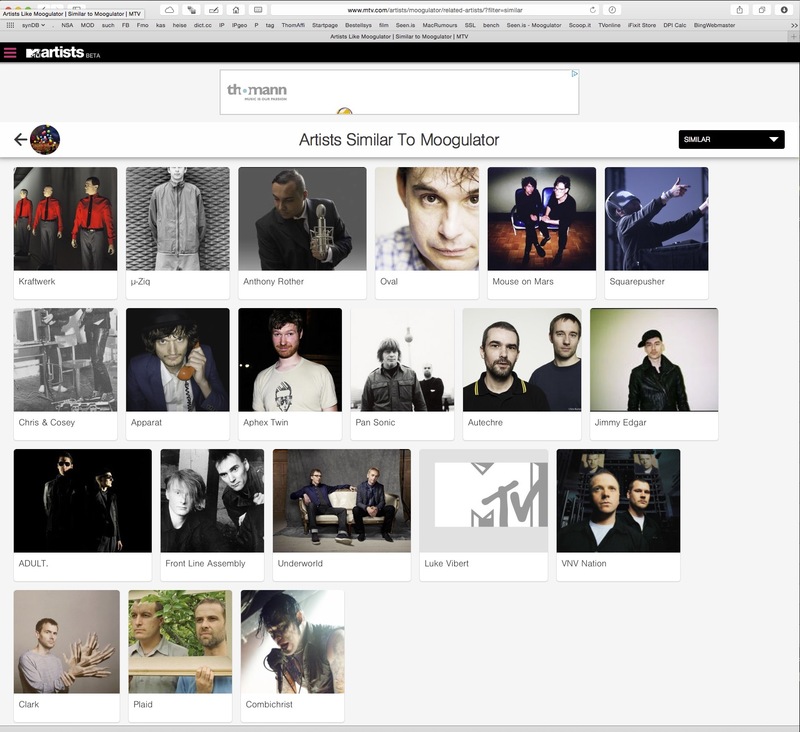 every now and then music search engines come up and this one is todays last thing I found while searching for something on Mouse on Mars – Artists Like Moogulator | Similar to Moogulator | MTV. so it’s interesting how they see you. – are they right? Habe mal wieder ein wenig rumgesucht, in dem Falle nach etwas anderem und das hier gefunden. Wenn du magst, probier mal ob das stimmt, was da raus kommt. 2 OSCs fm pwm digital ring sync, 3 LFOs, 2 EGs, 2 FILTERs (2-4pole), no sequencer, arpeggiator more..
misa – Reinventing the Air Guitar – Strenger Saitenscheitel?